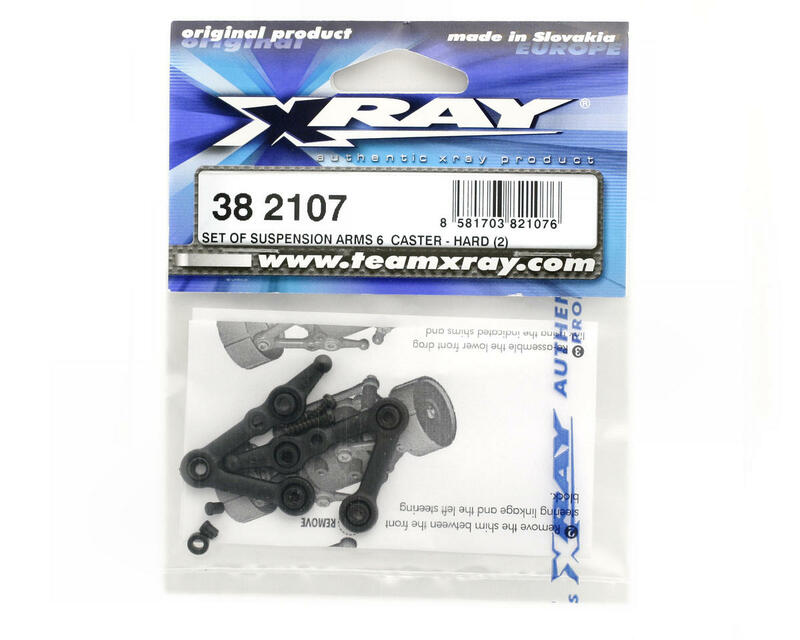 This is a set of two "harder-composite" replacement suspension arms for the XRAY M18 1/18th scale touring car. These new arms have the same camber (-1°) as the stock upper arms, but less caster (6° caster vs. 12° caster stock). 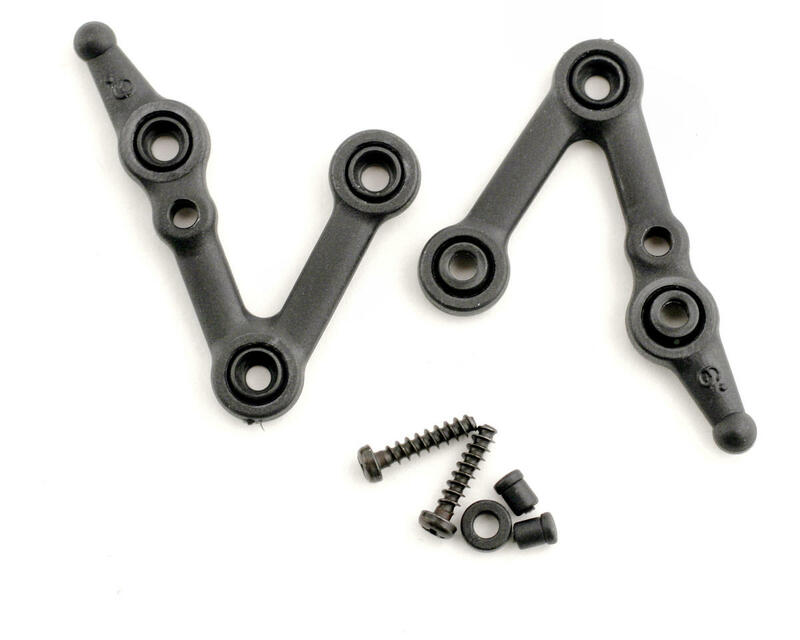 These arms provide improved steering, better handling into and out of corners. Highly recommended for serious racing and high competition… prepare to drop your lap times!